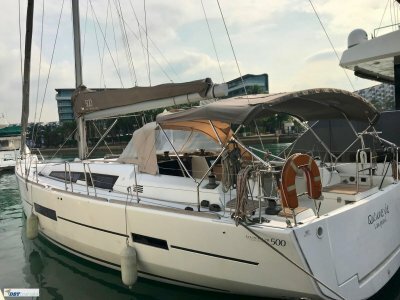 1983 Swan 46 now for sale with DBY Boat Sales. 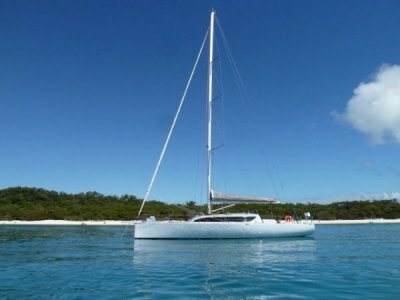 Troubadour is hull Number 1 of the super popular Frers design Swan 46. She is in amazing condition with a good blend of the original and modern. Troubadour has just arrived in Australia after an incredible journey from Europe via Patagonia and the Pacific. 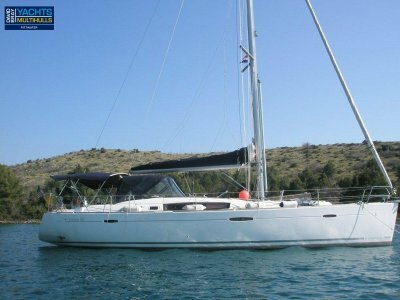 She has been sailed almost exclusively by just her 2 owners which is testament to her ease of handling. The classic Nautor design sails beautifully both to windward and off wind. Very well balanced helm makes her a joy to steer. 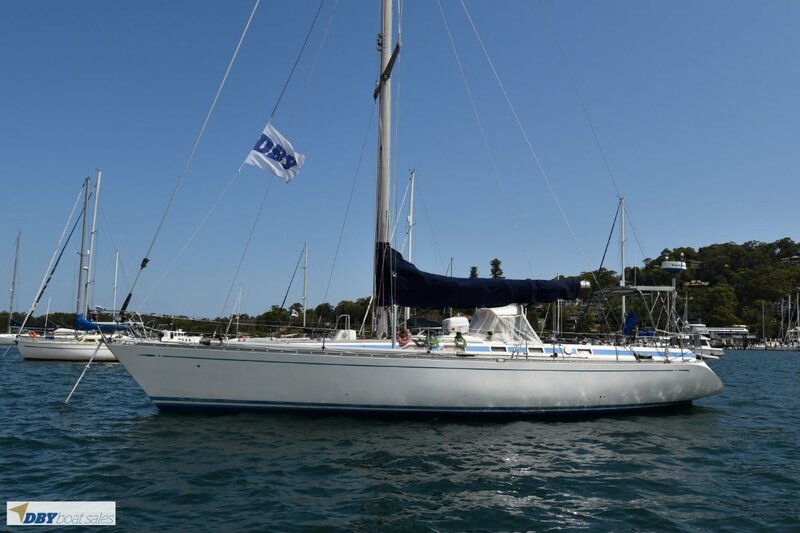 The Swan 46 makes an excellent racing boat having competed and won many bluewater classics. But equally she makes an excellent cruising boat. Fast and seaworthy. Troubadour is a must to inspect if you are looking for a beautiful yacht with serious pedigree. She is ready to take her new owners anywhere in the world in comfort and safety. Engine Notes : Slipped and engine serviced 2018. Number of Batteries : 4 x 24v 400Ah service battery. 2 x 100Ah starting batteries. 2 x 100Ah for the instruments. 220v shore power. Polarity alarm. Accomodation Notes : 2 staterooms. Aft cabin with queen berth to stbd side, single berth to port. Pilot berth to port. Toilet Type : Aft and fwd electric heads. Stove : Force 10 3 burner stove with oven and remote cut-off switch on propane tank. Refrigeration : 2 systems: 1 x 220v runs off main engine plus an engine driven compressor. Entertainment and Appliances Notes : 21 inch flatscreen TV. JVC stereo 2017. Cockpit speakers. Anchor / Winch : 35kg Spade anchor + chain. Kobra II 20kg anchor + chain. Danforth # 20. Recessed anchor Windlass. 86m chain. Bilge Pump : 1 x electric, 1 x manual. Deck Gear : S/S fold-up stern boarding ladder. Full dodger for main companionway. Hot and cold cockpit shower. Bimini. Sail Inventory : Reefing lines - 2017. Main - Hydranet. Genoa - Lt/ Med. Light # 1, med # 1. Spinnakers - 6oz Runner, 75oz, 60z Quantum, 1.8oz. 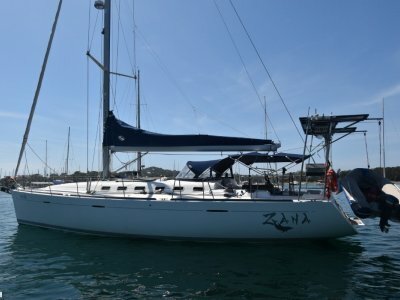 2 x furling Genoa. Electrics : 22ov. 12v and 24v battery chargers. Dynamotor 24v DC to 110v DC converter. Separate 12v battery bank for electronics. 3 x 100w solar panels. Electronics Navigation : B & G Hydra 330 system. 2 x FFDs. + 2 spare FFDs. B & G Analog Wind, Depth. Raymarine GPS/ Chartplotter. Furuno radar 12/2003. Simrad Autopilot. Suunto 6inch compass on pedestal. Raymarine Autopilot. 2 x Plotters. AIS. Safety Gear : 4 x fire extinguishers. Radio : VHF - Standard Horizon. Icom SSB. Remarks : French flag. New bottom paint 2018.